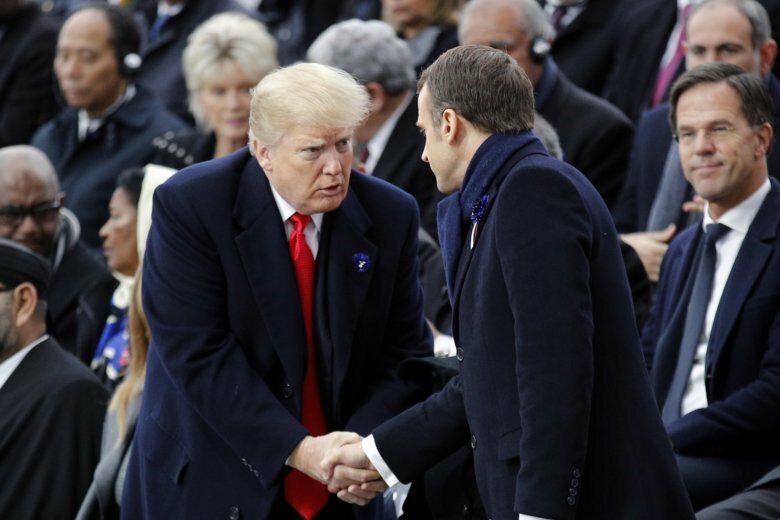 PARIS (AP) — U.S. President Donald Trump is partly right but far from completely correct when he says that France’s “big tariffs” make it hard for American vintners to sell their wines to the French. Wrong because customs duties on imported wines are applied not by France but by the European Union. Right because American tariffs are “globally” less than what Europe charges, the French customs authority says. Prices aside, wine made in the U.S. is apparently appreciated in the European Union — the world’s premier importer — and in France, where the value of wine imported has risen 200 percent between 2008 and 2017, according to the French Federation of Wines and Spirits Exporters. French tariffs as such don’t exist. Tariffs are set by the European Union “in the same conditions” as wines imported from most countries and are applied by all EU countries, the French exporter group said in an email. “This tariff has not evolved in 20 years,” it said. The alcohol level helps determine tariffs on non-EU wine imported into European countries, with a higher duty as the alcoholic volume rises, Lionel Briand, communications chief for the French Customs office, said in an email. Alcoholic content is also factored into U.S. tariffs, along with the size of the wine’s container. “American products are not submitted to a distinct duty but to the same duties as all third countries,” those outside the EU, Briand added. As an example, a bottle of white American wine with 13 percent alcohol content imported into the European Union carries a customs duty of 10 euro cents (a bit over 11 U.S. cents). A bottle of white of white wine from the EU exported to the United States has a customs duty of 5 U.S. cents. Bulk wines are another story — the U.S. tariff is double the EU one, a break for American producers since bulk wine represents 25 percent of the volume of U.S. wine coming into the EU, according to the French exporter federation. Still, “the level of customs duties applied by the United States to (imported) wine is globally weaker than EU duties for the same products,” Briand of the Customs office said. And Americans clearly like French wine. The United States is the leading importer of French wines by value, taking in 1.67 billion euros worth of French wines between Aug. 2017 and July 2018, according to FranceAgriMer, which works under the French Agriculture Ministry. That is up 30 percent compared to five years ago.